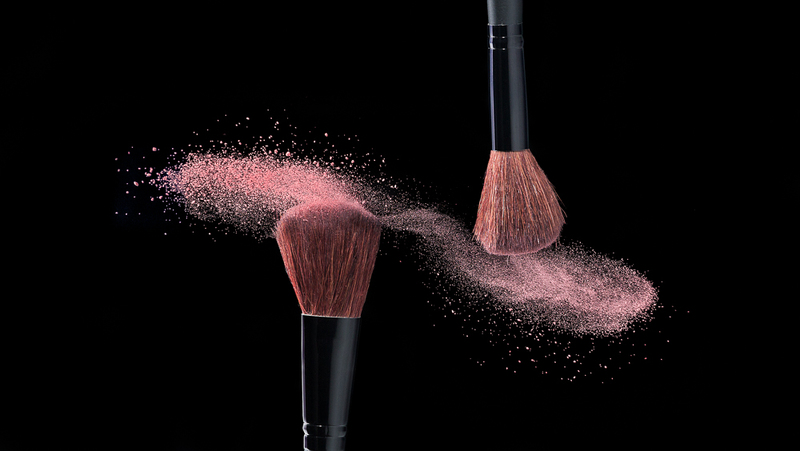 A single exposure using action stopping short flash duration to freeze the motion of the make up powder exploding off the lower brush. With the black background you can easily extend it to make room for marketing text and contact information. Categories : Cosmetic Photography, Makeup Photography, photoshop, Retouching, Small Product Photography, Table top photography, Westfield N.Y.